Part number proliferation: Finished subassemblies that use numerous sub-components that are welded or bolted together imply a proliferation of part numbers that must be managed and inventoried. As an alternative, a single piece casting can replace multiple components. Welding costs money: Each weld on a component adds additional cost for labor and material. Material waste: Much of the raw material in a machined part, especially for complex designs, ends up being machined away - with scrap value of turnings being the only residual value. Some parts with internal passageways cannot be machined at all. Lead time: Certain components need to be produced on the spot because the design is fluid. Those which demonstrate regular usage and stable design can be managed and inventoried. Difficult to identify costs: A challenge in assessing the relative costs of competing processes is that some of those costs may be buried in overhead. That doesn’t make the specific costs any less real, only more difficult to isolate and apply to the product being evaluated. Desired dimensional accuracy: Offsetting some of the cost disadvantage of machined hog-outs as volume increases is the opportunity for higher dimensional accuracy that machining can deliver. When looking at conversions, this assessment should be made. Fabrication repeatability: Challenges of repeatability in manufacturing fabricated/welded assemblies that utilize multiple components or sub-assemblies, and fixtures, may make that needed dimensional accuracy difficult. Weld joints: Inherent issues with welding, whether the integrity of the weld itself, or the performance of welded joints when under cyclic load, can be avoided by a using a single-piece casting that eliminates the need for welding altogether. Material selection: The material selection for a fabrication/weldment may be made predominantly because of its weldability. Using a single-piece casting in place of a multi-piece weldment will reduce, and likely even eliminate, the need for welding. So the material for the application may be selected based on the properties it brings or performance that it can deliver in a difficult environment, rather than just because it is easy to weld. Needed shaping: As opposed to weldments, it is much easier to design single-piece castings to account for the stresses that the product sees. 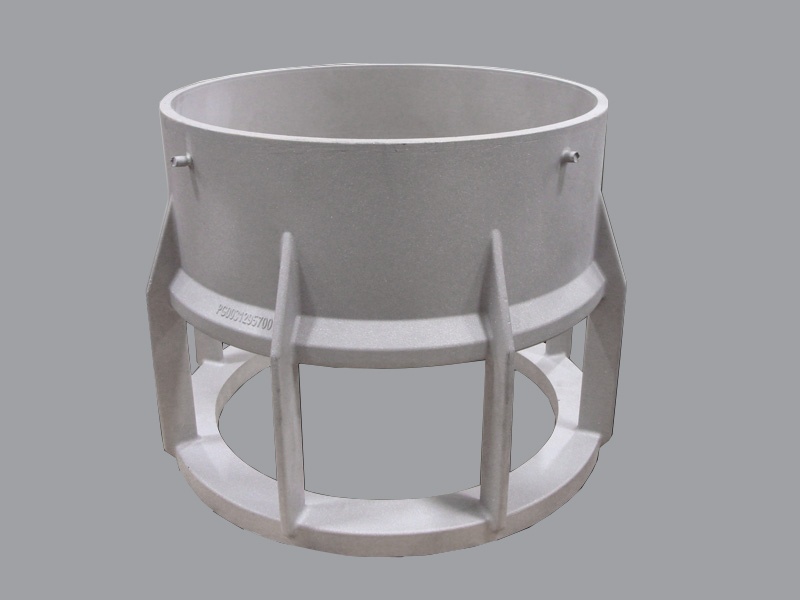 Robust shaping and forming are an innate feature of standard static casting processes. Stresses by process: If strength of the material is important, it should be remembered that wrought metals (whether a forging or wrought tube) are directionally stronger in one direction, while castings deliver equal properties in all directions. Consider the needed performance and stresses the component sees when deciding whether or not to convert. This simplifies the analysis that would be done when considering changing an existing design to a casting, but that can be a powerful means to reduce cost or improve the product. While there are many examples of effective conversions to casting, getting design advice from your favorite casting technical resource to maximize the benefit of the conversion is a good idea. Select a troublesome sub-assembly or one that seems more costly than it should be. Using the time-tested conversion process to a single piece casting will make your products and business better.